Paul Cezanne hid his child from his own father until the kid was 6 years old. Paul Cezanne was described as “the father of us all” by Picasso, so you know he's legit. Artists like Edgar Degas, Henri Matisse, Paul Klee, Pierre-Auguste Renoir and Paul Gauguin all called him a genius for bridging the gap between Impressionism and Cubism. God knows that couldn’t have been easy to do in the 1800s! Paul Cezanne was born in Aix-en-Provence to a wealthy banker father who obviously didn’t want his son becoming an artist. But as most artists have done before him, he insisted on his career choice and moved to Paris. Eventually his father came around, giving him $400 a month to support his creative habit (which was the extent of it at the time). Cezanne didn’t really make it big in Paris. He submitted work to the Salon five years in a row and was never accepted. He did have work in the first year of the Salon des Refuses, which as the name indicates was compiled of all the Salon rejects. But this bruised his ego a bit so he never did it again. If he could have only seen to the year 2011 when one of his paintings would sell for $250 million -- the second most expensive painting in history. But alas, such is life. Luckily for Cezanne he had a lady friend to make him feel better. Her name was Marie-Hortense Fiquet and she was his muse/lover. (You know how these things go). She had a baby and Cezanne hid the whole thing from his father until the kid was six. When his father eventually found out, he threatened to cut him off...but ended up giving him more money than before to support his family. Ka-ching. 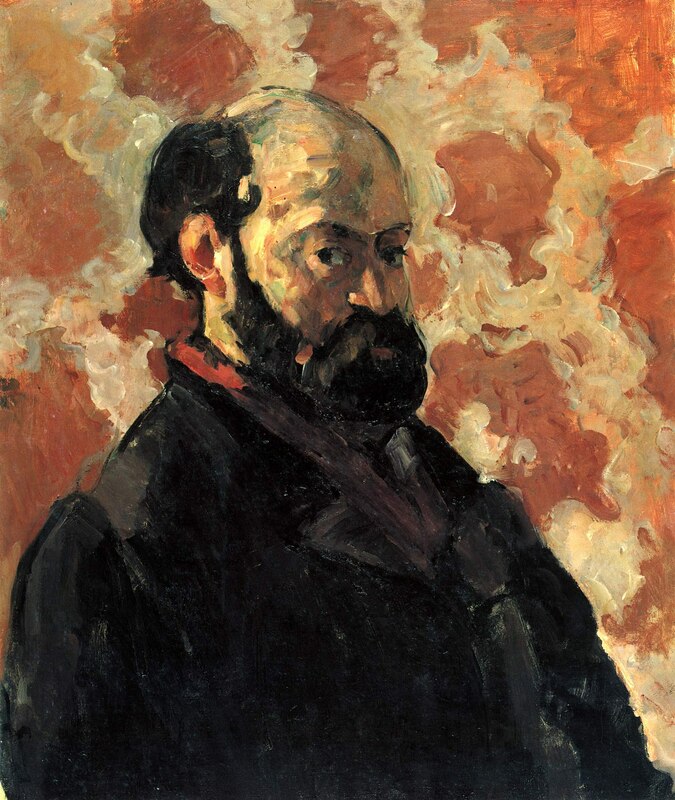 Cezanne also had one of his best friends from childhood with him in Paris, Emile Zola. Zola was a writer but not super good at it because most of his stuff was ripped off from his idol, Flaubert or his friends’ lives, which eventually cost him his friendship with Cezanne. The plot of one of his books was almost exactly the life of Cezanne, but made him much more of a douche, especially in terms of his relationship with Marie-Hortense and their son. The book ended their friendship, but did persuade Cezanne to marry Marie-Hortense even though he was very open about the fact that he didn’t much care for her at that point. All’s well that ends well...? Reyburn, Scott. “Auction of a Cézanne Highlights New Realities.” International Arts (International New York Times), January 12, 2015. Cohen, Rachel. Artist’s Model. (The New Yorker), October 31, 2005. McEwan, Olivia. “A Show about Delacroix’s Influence Is Sorely Missing His Work.” May 4, 2016. Accessed February 8, 2017. Check out the full Wikipedia article about Paul Cézanne.